Sometimes plumbing and equipment problems need to be repaired immediately. For burst pipes, leaking plumbing fixtures, gas leaks or frozen pipes, we offer emergency plumbing repair and service 24 hours a day, 7 days a week. If you have a plumbing problem in your home or business, give us a call today! We can provide maintenance and regular routine inspections to prevent plumbing emergencies before they start. 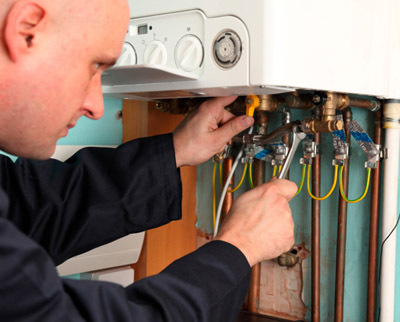 Maintenance can help your plumbing, water heaters and air conditioners and running efficiently. When plumbing equipment is maintained, it increases its longevity and saves you money in the long run. Ignoring plumbing problems can cause extensive property damage and need to be attended to quickly and efficiently – imagine the potential cost that a broken pipe or leaky fixture could cause! Our plumbers are equipped with the tools and knowledge to prevent plumbing damage to your home or business. To inquire about emergency repair services, please contact us.